Got a late jump on this blog but you never want to rush a good thing let alone a great thing, such as this very blog post. 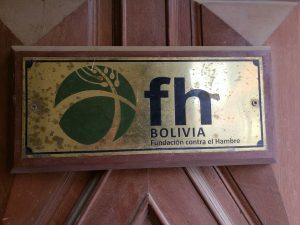 Yesterday was our last full day in Bolivia with our great friends with FH. We started off by visiting the Food for the Hungry office for a morning devotional. Juan Carlos lead the devotional with such passion and gusto one could easily mistake the man for a prolific reverend. It was a moving and inspiring time. He ended with the scripture passages where Jesus had risen and is having dinner with Peter and the others along the shoreline. Jesus asks Peter 3 times, “do you love me?” Juan Carlos asked us all the question, ‘how many times would Jesus have to ask us this very question?’. In the other direction, we do not even need to ask Jesus, we know he loves us immensely already, hence the mercy and love poured out on the cross! 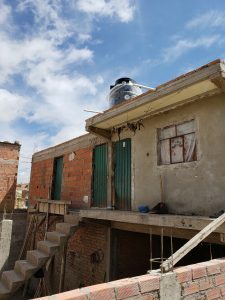 From this special time we visited a few FH sponsored children’s homes and admired the rain barrels provided by FH to the families. Back home, there is constant supply of water. However, in the area of Bolivia we were at, much of the water comes from rain run off from the Andes and is thus seasonal. With this unpredictability it becomes imperative to have a rain barrel system to capture water for times when none exists. From these visits we headed to the Sucre airport where we had a lengthy and somber goodbye with FH staff. 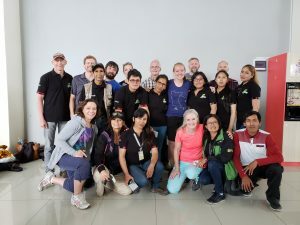 They are such an impressive and wonderful team and have a heart for the Lord and the poor which makes them so unique and a blessed group. In the evening we went grocery shopping and had dinner and everyone called it a night for the long travel day ahead. And you conclude your posts that we can hear. On the plane you may have time to play some euchre. We can’t wait to hear all you have to share.